City officials in Henderson are hoping a new housing development will rejuvenate the city’s East End. 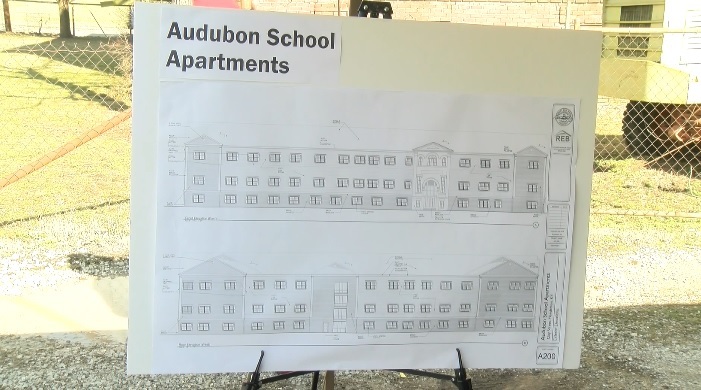 The historic Audubon School building will now be transformed into affordable senior housing. The city hopes with the new housing development, more businesses will follow along. It’s just one step in the city’s long term plan to revitalize the East End. A total of 49 housing units will be built featuring 30 one-bedroom apartments and 19 two-bedroom apartments. According to the developers, the building will recreate the feeling of the old school. This is the first time in 13 years Henderson has received funding from the Kentucky Housing Corporation for new affordable housing units. The cost of the project is estimated at $8.2 million.